 PASADENA, Calif. (October 1, 2018) – Today the Tournament of Roses announced the seven members of the 2019 Royal Court. Applicants from 24 Pasadena area schools participated in the interview process. 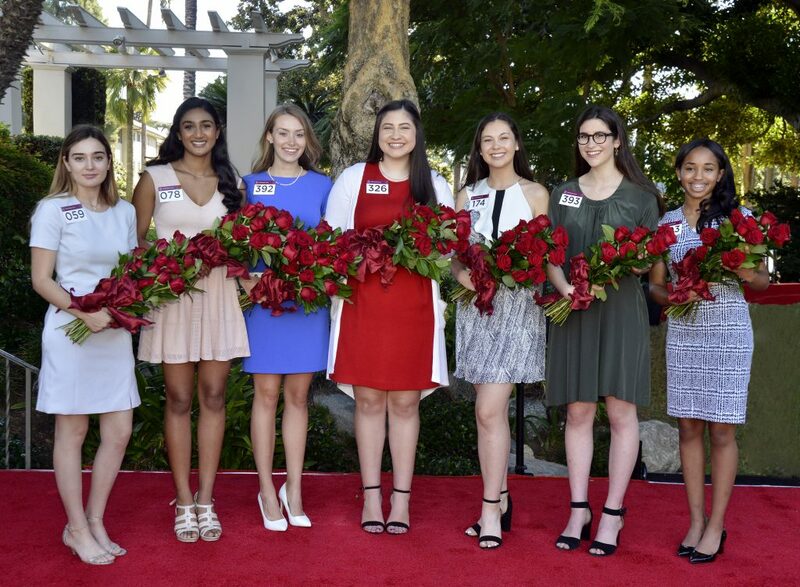 Volunteer members of the Tournament of Roses’ Queen and Court Committee made its selections based on a number of criteria including public speaking ability, academic achievement, youth leadership, and community and school involvement.  The Royal Court will attend nearly 100 community and media functions, serving as ambassadors of the Tournament of Roses, the Pasadena community, and the greater Los Angeles area.  The grand finale for the 2019 Royal Court will be riding on a float in the 130th Rose Parade® presented by Honda and attending the 105th Rose Bowl Game® presented by Northwestern Mutual, both on Tuesday, January 1, 2019. Lauren Michele Baydaline is a senior at Westridge School and lives in South Pasadena. She is currently Secretary of the Associated Student Body, Founder and Head of Every Body Affinity, Head of book club, 3rd year Peer to Peer, Volunteer in Reading Rocks program at Hillsides, and a Camp Counselor at YMCA Glendale. Lauren enjoys reading, writing poetry, and spending time with friends and family. She plans to study biology, linguistics, and Latin and would like to attend Boston College, Duke University, Emory University, Tulane University, University of Richmond, or Villanova University. Lauren is the daughter of Nick and Selena Baydaline; she has one brother, Christian. Ashley Symone Hackett is a senior at John Muir High School and lives in Pasadena. She is currently a member of the Black Student Union, Pasadena Panthers Youth Cheer and Dance, John Muir Pep Squad, Secretary of the Associated Student Body, a dance trainer with Los Angeles Country Tiny Tots, activities leader with the VA of Greater Los Angeles, and youth leader at Metropolitan Baptist Church. Ashley enjoys spending time with family and friends, cooking with her dad, watching football and basketball, hiking, and swimming. She plans to study human biology and would like to attend University of California, Los Angeles, University of Southern California, or University of Washington. Ashley is the daughter of Alvin and Ramona Hackett; she has two siblings, Jordan and Kennedy. Rucha S. Kadam is a senior at La Cañada High School and lives in La Cañada Flintridge. She is currently a member of the LCHS Varsity soccer team, Assistance League of Flintridge, Jet Propulsion Laboratory (JPL) Space Academy, 2018 Miss La Cañada Flintridge Royal Court, Local Control Accountability Plan (LCAP) Board, Parent Teacher Student Association (PTSA), California Scholarship Federation (CSF), Treasurer of LCHS Associated Student Body (ASB), Hackademia Director, and LCUSD Technology and Computer Science Intern. She plans to study computer science or medical science and would like to attend Amherst College, University of California, Berkeley, University of California, Los Angeles, Swarthmore College, or Wellesley College. Rucha enjoys baking, reading, listening to music, playing board games, and the piano. Rucha is the daughter of Shailesh Kadam and Vaishali Bhosale; she has one brother, Ahan. Sherry Xiaorui Ma is a senior at San Marino High School and lives in Temple City. She is currently Editor-in-Chief of the San Marino High School Titanian Yearbook, President and Founder of the Make-A-Wish Club, and a Varsity Basketball Manager. Sherry enjoys playing the flute and piano, reading, dancing, and spending time with friends. She plans to study communication and media studies and would like to attend Emerson College, Fordham University, New York University, or University of Southern California. Sherry is the daughter of Alex Luk and Kristy Ma; she has one sister, Sally Yang. Micaela Sue McElrath is a senior at Westridge School and lives in Pasadena. She is currently an afterschool volunteer tutor with Stars, Vice President of the 12th grade class at Westridge School, 3rd year Peer to Peer Counselor, and a Teacher Assistant in a 4th grade classroom. Micaela enjoys being involved in community service, all things fashion, hair, and makeup, and is avid watcher of football and baseball. She plans to study psychology, education, and English and would like to attend Bard College, Connecticut College, Fordham University, Trinity College, or University of Southern California. Micaela is the daughter of Matthew McElrath and Inez Enguidanos-McElrath; she has four siblings, Stuart, Belen, Mariah, and Evan. Helen Susan Rossi is a senior at Flintridge Preparatory School and lives in La Cañada Flintridge. She is currently a member or the Cooking Club, Diversity Club, Flint Leadership Club, and a Flintridge Prep Senior Leader. Helen’s community activities include National Charity League of Glendale, Senior Girl Scout, Troop 7331, Hathaway Sycamores Tutor, Arthritis Foundation Intern and Arthritis Foundation 2018 Youth Honoree. Helen enjoys cooking, photography, creative writing, and drawing. She plans to study business and psychology and would like to attend the New York University, University of California, Los Angeles, or University of Southern California. Helen is the daughter of Philip and Susan Rossi. Louise Deser Siskel is a senior at Sequoyah High School and lives in San Marino. She is currently a member of the Debate Team, and Judicial Committee at Sequoyah High School, YMCA Youth and Government, and researching breast cancer under Dr. Shehla Pervin at Charles R. Drew University of Medicine and Science. Louise enjoys reading, playing board games with her family, traveling, and laughing with friends. She plans to study cellular and molecular biology and would like to attend Johns Hopkins University, The University of Chicago, or Yale University. Louise is the daughter of Charlie Siskel and Abigail Deser; she has one brother, Simon. The Announcement and Coronation of the 101th Rose Queen® and Presentation of the 2019 Royal Court is on Tuesday, October 23, 2018 at the Pasadena Playhouse; the event is sponsored by Citizens Business Bank. 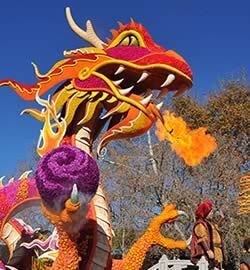 A limited number of tickets are available for purchase from Sharp Seating Company.